CARFAX One-Owner. Clean CARFAX. 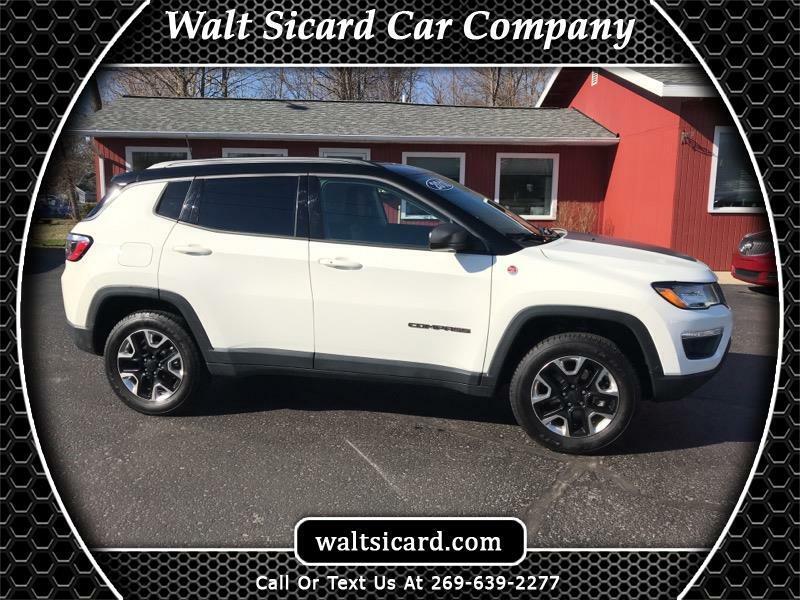 White Clearcoat 2018 Jeep Compass Trailhawk 4WD 9-Speed Automatic 2.4L I4 2018 Jeep Compass Trailhawk in White Clearcoat, Sought After Options Include, 4WD, 4.334 Axle Ratio, 6 Speakers, Four wheel independent suspension, Premium Cloth/Leather Trim Bucket Seats, Radio: Uconnect 4 w/8.4" Display.